The title of this post is something very serious, even if it may appear crazy. 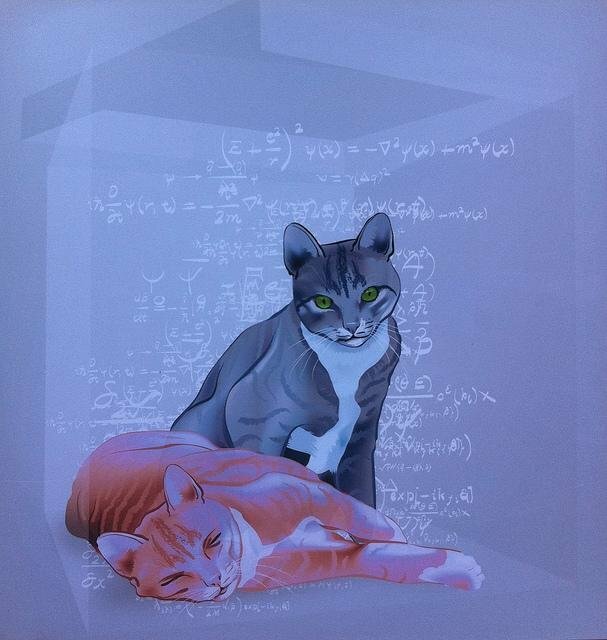 It is indeed not that weird to discuss quantum computing and cats within the same post. This is what I will (try to) prove here. Of course, by cats I refer to Schrödinger’s cats, and their common ground with quantum computers is simply what is called quantum decoherence. 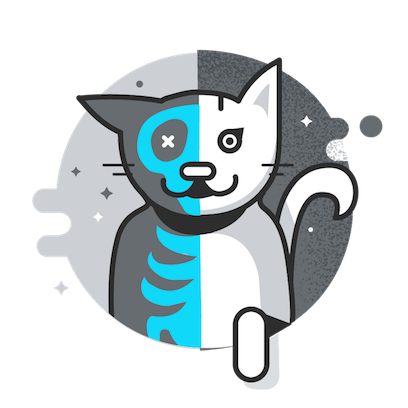 This post follows an interesting discussion we had the other day on the steemstem chat about the famous Schrödinger’s cat thought experiment. Some mentioned that this ‘experiment’ was a paradox, something that I strongly disagree with. With this post, I will extend my reasoning a little bit and provide more details, which will naturally bring us to the notion of quantum decoherence. And for those interested by a ‘TL;DR’ (for once, I can start with the summary), quantum decoherence is what must be fought at all costs for making quantum computing available in everyday’s life. One of the key principles behind quantum mechanics is the superposition principle. In a couple of words, this principle states that a quantum state can be seen as a superposition of different more basic components. A simple example can be seen in the qubit. After all, I will briefly discuss quantum computing in this post so that we could start with a naive version of the qubit as an example. For a classical computer, a bit has to be either 0 or 1. In term of quantum state, it is correspondingly either in a | 0 > state or in a | 1 > state. A qubit consists in contrast in a combination of these two basic ingredients. It has hence at the same time a non-vanishing 1 and a non-vanishing 0 component. The corresponding quantum state could be written as α |0> + β |1>, with the α and β coefficients being potentially different. A qubit could hence be more 0-dominated or 1-dominated according to the values of our two α and β coefficients. At our macroscopic scale, there is nothing equivalent to such a superposition principle, and it is fair to say that it hurts our naive, classical, vision of nature. This weirdness was highlighted by Schrödinger who thought about an imaginary experiment aiming to contest the validity of quantum superposition. The heart of the Schrödinger’s cat experiment is to mix a macroscopic system (a cat) with a microscopic system (an atomic nucleus). I insist: this is a thought experiment. No cat has therefore ever been hurt by quantum mechanics. We imagine that a cat is sealed inside an opaque box together with a vial of poison whose opening would kill the animal. The experiment starts with a vial that is closed and a cat that is alive. The box however includes a mechanism that allows the vial to open, the mechanism being piloted by the decay of an atomic nucleus. This is where nuclear physics enters into the game. It tells us that our nucleus has a given probability to decay which increases with time. The nucleus has to obey to quantum mechanics, as it is a microscopic object. We can thus write a quantum state for it. This state is very similar to the qubit quantum state introduced above, but after replacing the 0’s and 1’s by a decayed and a non-decayed status. The quantum state of the nucleus reads thus α(t) |decayed> + β(t) |non-decayed>, with the α and β coefficients depending on the time t. Nuclear physics then tells us that after some time, α(t) is close to 1 and β(t) is close to 0. And here comes Schrödinger’s provocation: including a macroscopic object (the cat) in the quantum state, α(t) |decayed & dead> + β(t) |non-decayed & alive> to go back to the above notations. In other words, Schrödinger decided to apply the rules of the quantum world to the cat whose destiny depends on the vial, and thus on the nucleus. If the nucleus has decayed, then the cat is dead. However, if the nucleus is intact, then the cat is alive. And here is the funny and weird situation: the interpretation. 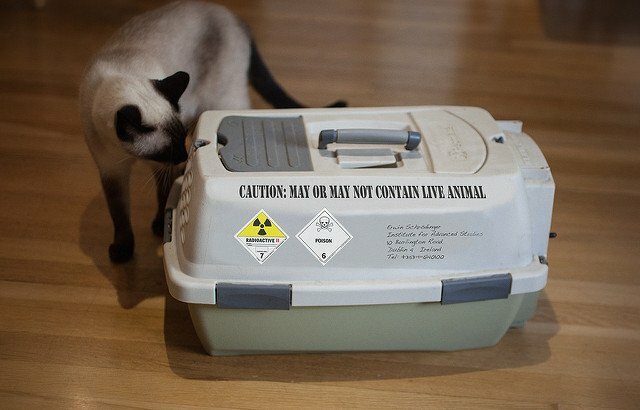 According to quantum mechanics, the cat is a zombie as neither alive nor dead as long as no one opens the box to check. Quantum mechanics predict that once a measurement is undertaken, either the nucleus has decayed and the cat is dead, or it hasn’t and the ca tis alive. The zombie state of the cat is not observable. There is no paradox of the Schrödinger cat. Even if you can read the opposite in many places on the web (please do not trust anything you find on the Internet). What one has here is a paradoxal interpretation of a state that is not observable in an experiment that is useless as no one will challenge what will be found at the time of the measurements. Our macroscopic common sense tells us that the quantum state above-introduced, that we wrote α(t) |decayed & dead> + β(t) |non-decayed & alive>, is non-realistic as zombie cats do not exist. This was also the point of Schrödinger, which thus challenges quantum superposition. In fact, writing a quantum state for a cat has no sense at all, no matter it is dead, alive or zombie. The reason is that a cat has continuous exchanges with its environment, as most macroscopic systems. The ‘cat system’ is thus not an isolated system. This means that in no time, its description through a quantum state is not valid anymore. This is what is called quantum decoherence. 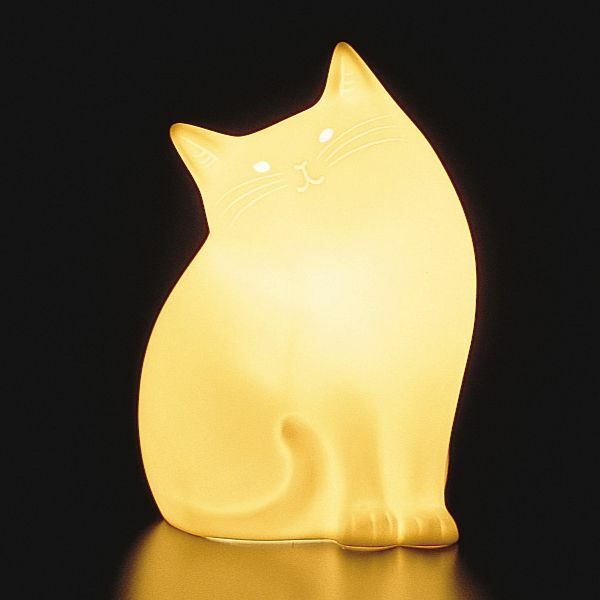 Decoherence appears at a pace proportional to the number of involved particles, and it has been observed and studied for instance in experiments with simplified pseudo-Schrödinger’s cats made of light. For a cat, decoherence would be so fast that there is no way to observe any quantum effect. It is also the technological barrier to bypass for quantum computing. Decoherence can indeed reduce a qubit to a classical bit, and makes us lose all the advantages of quantum computing. This is why quantum computers do not have at the moment a large number of qubits. It is damned hard to protect them from decoherence on a technological standpoint. SteemSTEM is a community-driven project that now runs on Steem for more than 1.5 year. We seek to build a community of science lovers and to make the Steem blockchain a better place for Science Technology Engineering and Mathematics (STEM). More information can be found on the @steemstem blog, on our discord server and in our last project report. Please also have a look on this post for what concerns the building of our community. Well, it is actually considered as a topic of debate . The pilot wave interpretation nevertheless does not contradict quantum mechanics, and does not bring anything new when comparisons with data are at stake. The "trajectories" of the particles in the pilot wave interpretation do not imply more information on what could be observed than with the usual quantum mechanics. Moreover, the pilot wave interpretation is as non-local as the Copenhagen interpretation. In short: it is not wrong, but it cannot be tested (for now) and thus proved correct. It is also very non-intuitive and IMO more complicated. Maybe there are other points which I am unaware of. but Because of the deterministic nature, I feel pilot-wave theory more intuitive. Oh I never knew it before. But for a beginner, the unknowns in the pilot wave theory is in the initial conditions. The trajectory is completely deterministic, which is satisfying for me. But then I Don't know other issues with this theory. In any classical physics problem, any potential vanishes at infinity. This means particles cannot interact if they are infinitely far from each other. The price to pay to get an interpretation close to classical mechanics is a bit high, IMO. Should I delete this? There was some connection issue. Hi @lemouth! Thank you for bringing up this post. It seems really interesting to me but at the same time few things were hard for me to understand since I am not an expert on Quantum Technology. 'Our macroscopic common sense tells us that the quantum state above-introduced, that we wrote α(t) |decayed & dead> + β(t) |non-decayed & alive>, is non-realistic as zombie cats do not exist. This was also the point of Schrödinger, which thus challenges quantum superposition. This topic is still a widely discussed one. There are pros and cons and no clear answer for now. I personally don't like it much for some of the usual reasons. Beautifully written and very interesting subject to me. As a long time contributor to World Community Grid+BOINC(CPU and GPU mining since ~2001) , I really want to buy such a computer to do those computations. I know it's very expensive for the moment but I am still waiting for the price drop and then for someone to write the code for the specific apps we need, probably someone @Berkeley, the creators of BOINC. And you have created your own paradox while debunking another paradox since you told us to not trust anything online - which is something that my mom tells me all the time. About the decoherence: Are we sure that we can find computing mechanics to prevent the decoherence in molecule folding for example? Since I am guessing not everything can be written in code to prevent it. 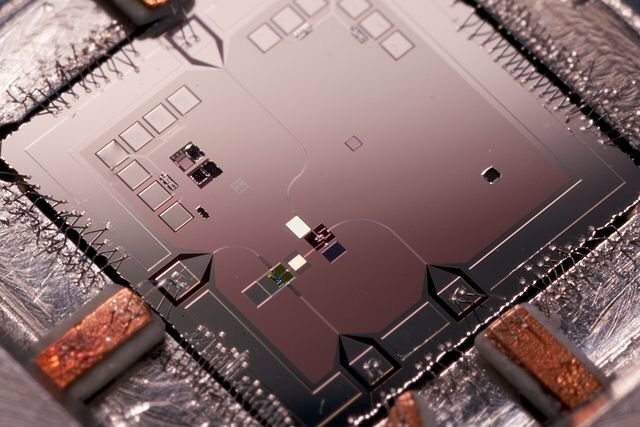 Current quantum computers cannot handle a large number of qubits, and more work is therefore in order. I provided information. It is up to anyone to think about it and to check it. I have argued everything, and everything can be tested. In this way, this is not that paradoxal, is it? I don't know. This is not my field of expertise. Sorry. Another interesting read and I somehow managed to miss this. I see what you did there! I wonder how many actually noticed. Well, I don't trust anything I read on the internet, however I came across this pretty credible formula that stems from Schroedinger's equation for a single particle. Never knew about quantum decoherence, sounds like an impossible obstacle in quantum computing indeed. Maybe one of the issues here is the definition of measurement. Most people would put an anthropomorphic meaning to this word. But I guess the masurement doesn't have to be observed by a human being to be a measurement, right? Most particles in the universe are not being observed by conscious beings but I guess that if such particle in a state of superposition interacts with macroscopic object then it will get a definite state. Is this the interpretation of physicist? Of course. The observer can be a human, a computer, a machine, etc. Some physicists have actually claimed that a conscious being was needed. But the role of consciousness is still unclear (and subjects of debates). To answer the rest of the comment: In quantum mechanics, the superposition is always reduced to one of its component after a measurement. Until there, we just have a bunch of options with given probabilities. But is what you're saying with quantum decoherence also the reason why the qubit state only has a very short lifetime in practical quantum computers? Therefore once you have programmed your qubits you need to get the result out fast before the states become damaged. You need to find a way to keep the qubit a qubit and not getting it reduced to a normal bit. This is the complex part as this means fighting decoherence. I always like to read the arguments for and against the Schrödinger's cat paradox on the Internet! 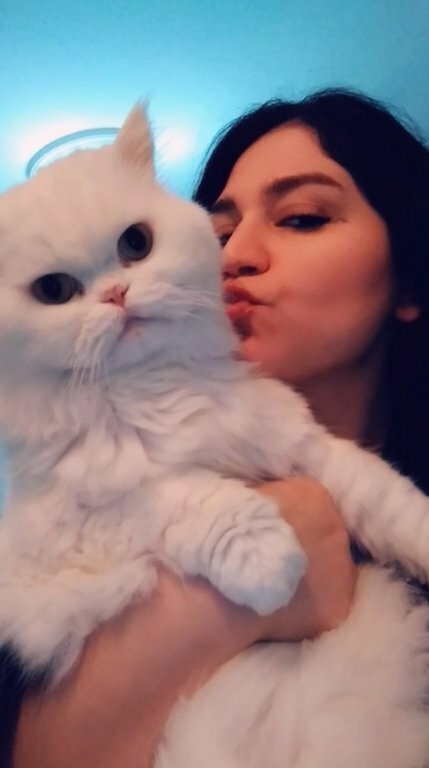 I'm happy no cat has ever been harmed in the making of any quantum theories. Now I can log off and enjoy my sunny Sunday. There are some pop media sciency figures that sometimes suggest that there is something logically contradictory about quantum physics. I've yet to encounter a case where quantum physics is indeed contradictory. An example of contradiction they sometimes give is of a particle being at two places at once. Well what's contradictory about that? The only way to make it contradictory is to add the statement that "if x is at point A, then it cannot at the same time be at point B", which will of course make the statement self-contradictory. The only true contradiction is to say that something both is and is not the case at the same time, for example "a particle is and is not in two places at the same time". If a physicist ever tried to claim something like that, none of his equations would make sense. So I don't worry about contradictions. It's usually non-philosophers who haven't studied logic who think there's something contradictory about the quantum world. Non-intuitive, yes, but that's different. The double slit experiment is very funny with this respect. You may want to have a look to this old post of mine. The only true contradiction is to say that something both is and is not the case at the same time, for example "a particle is and is not in two places at the same time"
Another point is quantum mechanics is that it tells you that the position is not uniquely defined. Everything is probabilistic which is one of the complications in its understanding. Another complication is that a particle is a wave. That does not help. In short, the quantum world is tough, but exciting! Interesting reading. One single course about quantum physics I took a few years ago was useful to give me some basic understanding but I know it is nearly not enough to add any of my opinions except to applaud your knowledge. Especially when you connect it with computing science. I majored in physics, but I still enjoy learning more and more about it as well as abstract math. Learning is a lifelong process. There are a lot of great videos on YouTube as well. The different interpretation are interesting, and each has pros and cons. This is still a hot topic 60 years later. Note that many of these interpretations do not add anything as soon as we confront the predictions to experimental data. I have for instance in mind pilot waves. This is why the simplest Copenhagen interpretation is commonly admitted: there is an amazing agreement with data and I insist, it is simple. Our community is open and we are friendly, I used to be shy but it helps nobody. You say to not trust anything on the internet, yet I read this on the internet. That is a paradox in itself. But yes, everything I have said has been argued and is in addition open to debate. I don't ask anyone to 'trust' me. I think I have given enough information so that anyone can get his/her own idea and verify anything he/she would be confused with. This was quite an informative post, and I'm glad to see some quantum discussion on Steemit! I have been following IBMs movements for a little while now, and I have so many hopes for these projects. As an encryption enthusiast, Quantum is life-changing. This came fro ma lively discussion on the steemstem discord. I don't know whether you are there already, but maybe will you be interested in joining? Haha good to know, thank you! :) I think that decides it, as I have been interested in doing this for a while now. Quantum superpositions are an LED desk lamp? Creativity is important as a scientist. I heard about the Schrödinger cat for the first time when you made a comment on my post; I think it was last week. And I humorously said "quantum cat". I wasn't wrong after all :). Now I have the privilege of reading about it in details. You don't know how happy I am right now. I never knew they are actually called Dirac notation. The more I learn, the more I discover I know very little. I think I should research more. This is the first time I've really understood this thought experiment, due to the above quote plus the discussion of continuous exchanges with the environment. Thanks for the explanation. Ans is no but I have an insight and it's a nice have a knowledge like this....Please is there anymore to quantum computers? I beg your pardon? I didn't fully get your comment (and therefore can't understand it). Do you mind clarifying wha you have in mind? Thanks in advance! Ok I see. In fact, decoherence is the common grounds. It explains what is going on with the Schrödinger's cat, and it is the reason why quantum computing is tough. In this example, the cat showed decoherence from his form and strong entanglement with a dog. Not sure we can blame poison vial for that. Maybe it was due to staring in a rapidly changing colors of a LED Potion Desk Lamp which gave him seizures. This may be controversial to state, but isn't Haejin'swave theory analysis originally based in quantum mechanics? Excellent @lemouth. Thanks for sharing this interesting post about Quantum Mechanics. It was a pleasure to read it. Regards. I'm waiting for my cat to wake from her nap . We will discuss this theory at length . My results will be posted .